Throughout its history, afterschool has always had to promote its value and identity around the issues of the day. With each change in the Presidential administration, there are risks and opportunities that we should be aware of, and adjust our advocacy accordingly. President Trump communicated his ideas using very specific language during his campaign and transition. Is there anything we can learn about how best to advocate for afterschool funding? In this new era of Trump, we asked Betsy Brand, Executive Director of the American Youth Policy Forum, and Jodi Grant, Executive Director of the Afterschool Alliance, about this. Below is part 1 of their responses. Q: The new President appears to have a high regard for law enforcement. Law enforcement officials were strong advocates at the federal and state level for afterschool. Do you envision that we will again engage law enforcement organizations in the effort to preserve the federal 21st CCLC funding? 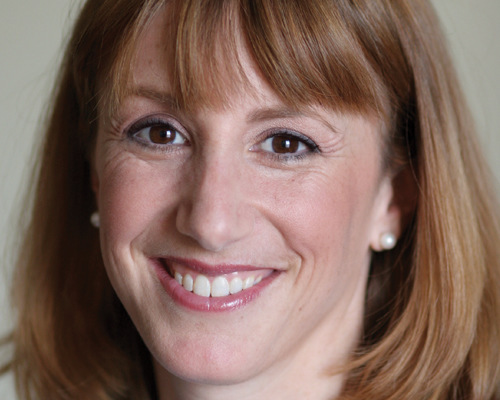 Betsy Brand: As the new Administration focuses on improving safety in our communities, it seems a natural step to talk about how afterschool programs involve youth in positive and engaging activities, in the non-school hours. Law enforcement can be an important advocate for 21st CCLC funding and effective partners that bring valuable skills and resources to the table, not just in this political climate but anytime. Jodi Grant: Law enforcement officials have been strong partners for afterschool all along because they recognize how important it is for youth to engage constructively with their peers and with adults. Across the country a lot of afterschool programs have strong relationships with law enforcement agencies, ranging from Police Athletic League programs to partnerships with local police. One great thing about bringing police officers into programs, often as volunteers, is that it fosters powerful personal relationships that can not only change lives, but change the discourse between police, youth and parents. It’s an example of community policing at its best. 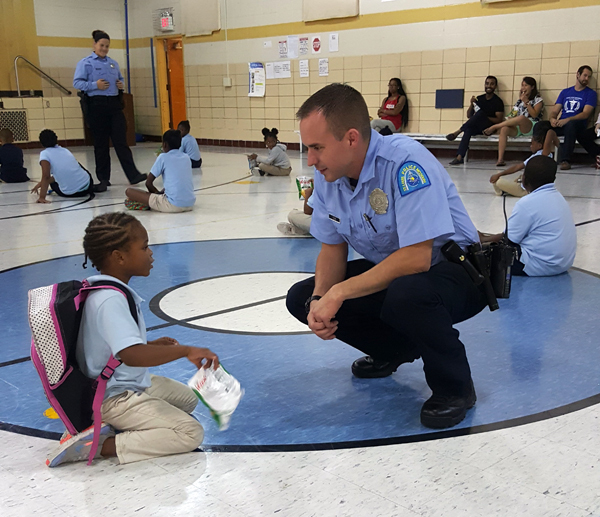 For more than a year the Afterschool Alliance’s blog has been featuring stories of afterschool programs working with local law enforcement. (The most recent story can be found here.) We value the partnerships not just because of the terrific work that police are doing with kids in afterschool programs, but because it’s so important for the public to understand the reach of afterschool programs. The messenger can be as important as the message, and law enforcement voices are going to be more essential than ever in helping us preserve federal afterschool funding. Q: President Trump talks a lot about crime, safety, and drug abuse. Do you predict that we will need to return to a "deficit" or prevention model to capture his attention to preserve afterschool funding? Betsy Brand: We should not return to a deficit model, but rather focus on the benefits of afterschool in terms of helping young people find engaging, satisfying, and meaningful activities in which they can participate during the non-school hours and that help them develop skills that lead to success. The deficit model language should be retired once and for all. Jodi Grant: Afterschool programs are effective and popular because they keep kids safe, help working parents and inspire students to learn. While today, a lot of policymakers think about afterschool in terms of the third prong of that message, it was actually the first two prongs that generated the political will to create a federal funding stream for afterschool. Students spend 80 percent of their waking hours outside school and they are always learning – every minute. So the question is: What will we teach them? They can learn skills at an afterschool program that will help them succeed in school, at work and in life or, if we leave them unsupervised, they can engage in activities that are inappropriate, dangerous or even illegal, and learn a very different set of lessons. As the President focuses on crime, drug abuse and other ills in our society, it is important for us to highlight the impact that afterschool has in teaching the right lessons and in preventing inappropriate behavior in our students. From a communications standpoint, if highlighting negative consequences can help us build support to provide resources to the 11.3 million children who go home alone each day and are unsupervised when they get there, then it is worth making that argument. Once we have our students in a safe place, we can do so much more to inspire them to get out of their comfort zones and achieve dreams that might not have been possible before. "President Trump has just unveiled his budget priorities—and his plan singles out afterschool funding for elimination." To learn more, click here. LIAS will also be posting a blog on these developments.